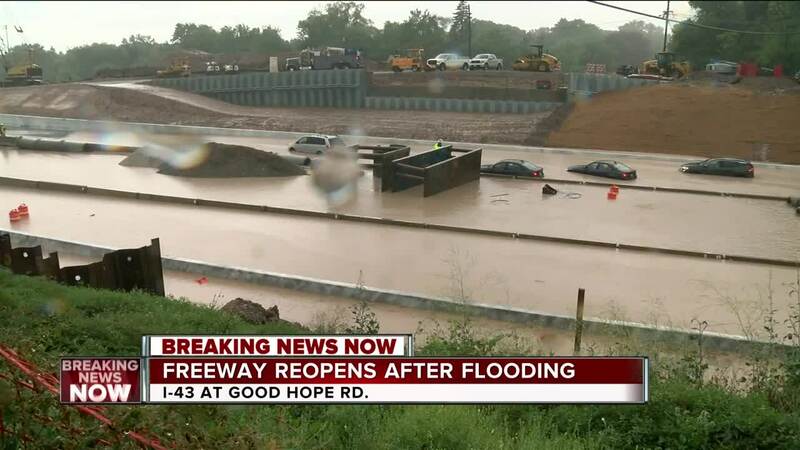 Flooding twice closed all northbound and southbound lanes of I-43 near Good Hope Rd. Friday morning. A total of six vehicles got stuck in floodwaters, which resulted in the initial closure. "Four of those cars had occupants in them," said North Shore Fire Chief Robert Whitaker. "The people were all fairly calm considering the situation." He said the water was shallow enough to stand in, but that firefighters used flotation devices to get people to safety as a precaution. 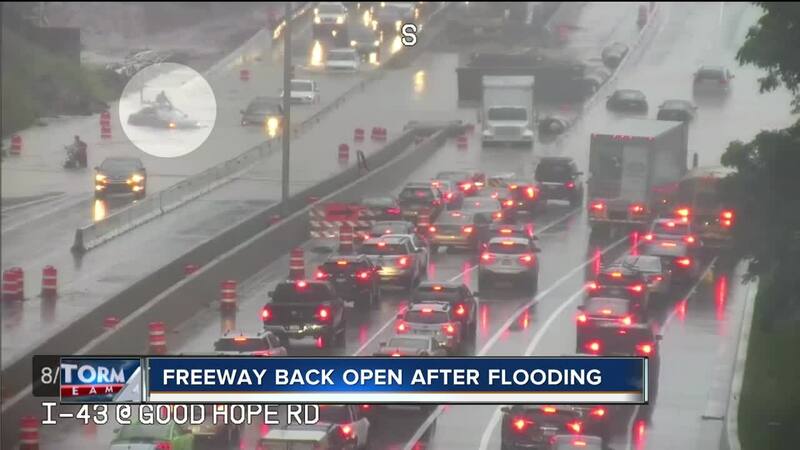 The early-morning flooding began shortly before 7:00 a.m.
Whitaker said the area of I-43 where the standing water accumulated is low-lying and known to flood during heavy rains. 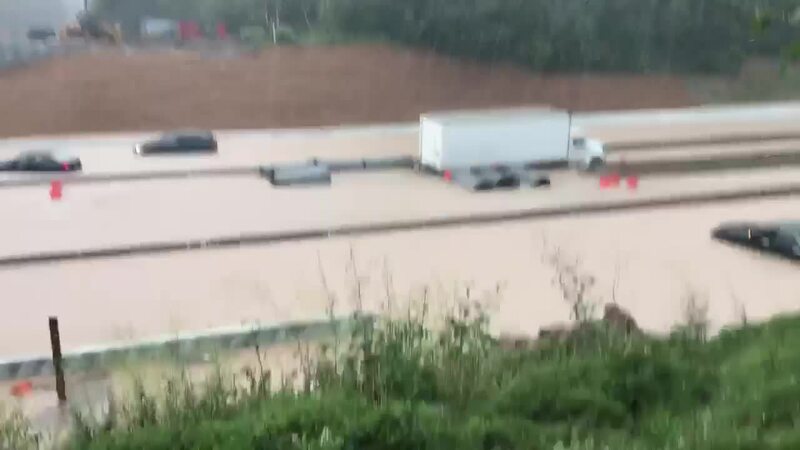 Michael Pyritz, a spokesperson with the Wisconsin Department of Transportation, said construction in the area might have made Friday's flooding worse. "With the work going on, the silt fencing, those things could've contributed to the standing water," Pyritz said. "I still need to get word back from the field confirming that." But he added the current project, which includes the reconstruction of a bridge, also calls for a new, larger storm sewer to be added to help control standing water on the Interstate. "That will help in the future with any heavy rains in that area," Pyritz said. After stranded drivers were taken to safety Friday, all lanes of I-43 were reopened by 9:30 a.m. But by 11:00 a.m., the interstate had once again been closed because heavy rainfall continued. "We are looking to see if there's some things we can do to alleviate that until that new storm sewer is fully installed," Pyritz said.